Tiemo Wölken studied law at the University of Osnabrück in Germany, with a specialisation in European public law and international law in the University of Hull in England. He has also followed course studies in administration in the German University of Administration in Speyer. He is a lawyer by profession since 2016 and a teaching assistant in the Public Law Department of the German University of Administration in Speyer, specializing in European and international law, under the Professor Weiss. He started his political career in 2006 when he served for four consecutive years as the Vice-Chair of the Lower Saxony Young Socialists. 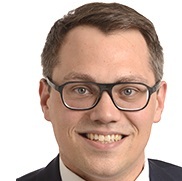 He is a Member of Osnabrück City Sub-district of the SPD, currently serving as Vice-chair (from 2011), Chair of the Local Association of the Altstadt-Westerberg-Innenstadt of the SPD (from 2013) and Member of the SPD Weser-Ems District Executive (from 2015). From 2016 he is a Member of the European Parliament, participating in the Committee of Budgets, the Committee on Environment, Public Health and Food Safety and the Committee on Legal Affairs.